Become a certified Yoga Teacher under the guidance of Sian Pascale (TLC) and Jamie Strathairn (Yoga 8) studying Hatha, Tantra and Yin lineages. This is an opportunity to not only evolve your practice on a personal level, but also to find a voice so that you may share your journey as a teacher and guide. This course breaks down the postures, however it moves beyond the asana as the primary focus. Mantra, meditation, pranayama, energetics (both Indian Yogic and Chinese Medicine theory), history and philosophy are all key pillars in this YTT- with the intention that teachers leave well rounded and equipped to bring the full power of the yogic practices to life. 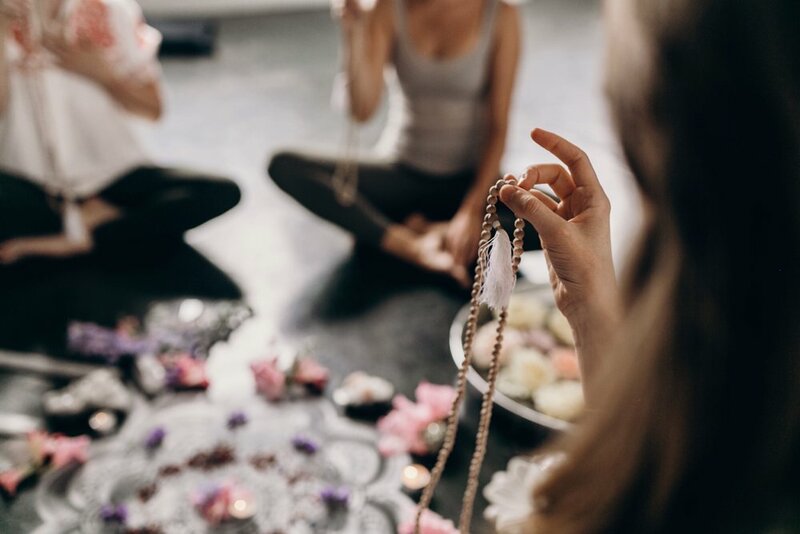 Students will not only experience the sacred practices and technologies of Tantric Hatha Yoga and Yin, but will learn to teach confidently, from their own distinct voice and expression. The course has been designed to prepare you as a teacher with plenty of opportunities to practice sharing the teachings in an interactive, open workshop style learning environment. To compliment this, students will also study class sequencing, modifications, anatomy, alignment and boundaries. Beyond The Asana is an invitation to dive deep and make space for transformation. This teacher training will be an intensive course, from Monday 18th November to Sunday 15th December (subject to change). It is open to dedicated students of all levels. More details on certification and curriculum COMING SOON.